Department of Chemotherapy, Oncological center, Medical University, Pleven, Bulgaria. Objective: Lung cancer Pemetrexed is novel multitargeted antifolate which inhibits three key enzymes in the folate metabolic pathwaw. Methods: From May 2010 to March 2012 twenty two consecutive patients with morphologically proven advanced non- squamous non- small cell lung cancer entered the study. Treatment schedule consist of Pemetrexed 500 mg/m2 on day 1 and Cisplatin 80 mg/m2 with hyperhydratation administered as intravenous infusion with repetition every three weeks. Vitamins supplementation, antiemetics and Dexamethasone were administered too. Results: Overall response rate was 27,3 %, with one complete and five partial remissions obtained. The median time to progression and median overall survival time were 5,5 months and 9,6 months respectively. The main toxicity- grade 3 and 4, included neutropenia and diarrhea. Conclusions: That data suggest that chemotherapy with Pemetrexed / Cisplatin is reasonable choices for first- line chemotherapy in patients with inoperable non- squamous non- small cell lung cancer. Davidov DN. Our Experience with Pemetrexed/ Cisplatin as First Line Chemotherapy in Patients with Advanced Non- Squamous Non- Small Cell Lung Cancer. J of IMAB. 2013 Jul-Dec;19(3):481-485. 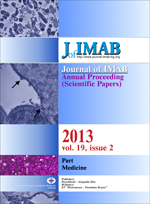 DOI: 10.5272/jimab.2013193.481. 11. Tonkinson JL, Wagner MM, Paul DC, Gates SG, Marder P, Mendelsohn LG et al. Cell cycle modulation by the multi-targeted anti-folate, LY231514, increases the antiproliferative activity of gemcitabine. Proc Am Assoc Cancer Res. 1996; 37:370. 17. Peterson P, Park K, Fossella F, Gatzemeier U, John W, Scagliotti G. Is Pemetrexed more effective in adenocarcinoma and large cell lung cancer than in squamous cell carcinoma? A retrospective analysis of a phase III trial of Pemetrexed vs docetaxel in previously treated patients with advanced non-small cell lung cancer (NSCLC). Eur J Cancer. 2007; 363 (Suppl): 6521. 20. Kaplan EL & Meter P. Nonparametric estimationfromincomplete observations. J Amer Statist Assn, 1958; 53:457- 481. 24. Giovannetti E, Mey V, Pasqualetti G, Marini l, Del Tacca M, Danesi R. Cellular and pharmacogenetics foundation of synergistic interaction of Pemetrexed and gemcitabine in human non-small-cell lung cancer cells. Mol Pharmacol. 2005 Jul;68(1):110-118. [PubMed] [CrossRef].